Cica Care Scar Treatment Silicone Gel Dressing Sheeting from HealthyKin.com is a patented technically advanced form of silicone gel sheet for scar care. Widely used by hospitals, dermatologists, and surgeons for the management of hypertrophic and keloid scars. The Cica Care adhesive gel sheet is soft, comfortable and simple to apply. It can be cut to size to fit most scars. Durable and reusable, it can be used day or night. The skin contact side of Cica Care is self adhesive, while the upper side is a strengthening non-adhesive silicone membrane. Therefore secondary fixation may not be required, making the product more user friendly, and can lead to higher patient compliance. The silicone membrane and gel combination make Cica Care more durable and less likely to "crumble" in comparison to other silicone gel sheets. 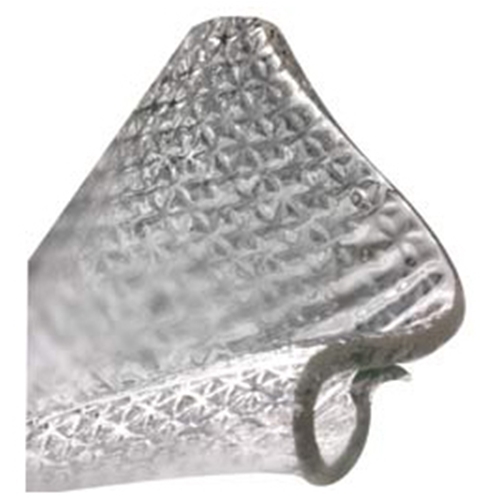 Cica Care is a very conformable silicone gel sheet. Because it is self-adhesive, Cica Care can be easily used in many awkward anatomical locations, including earlobes and sternal areas. One piece of Cica Care can be easily washed and reused. Once it becomes difficult to clean, a new piece should be used. This usually occurs after 14 to 28 day intervals. Cica Care is durable and reusable. Each cut piece lasts up to 28 days in use, making it a cost effective regime. Awesome product. Makes scars disappear! I've used this before and found this to really work for flattening scars and "calming them down." It's really amazing how well this works. It does work and the product is very true to its word, its better then the scar away pads at Wal-mart. I would recommend buying the Hypa fix tape with this product to make sure it stays in place. spending $60 for 6 months of scar healing vs a dermatology paying $2,000 for lazer therapy is not a bad bargain . Had hoped for better results. The gel pad falls off frequently. To be able to use for a 2 week period, is not working for me.